From Wikipedia: Lada is a trademark of Russian car manufacturer AvtoVAZ based in Tolyatti, Samara Oblast. It was originally the export brand for models sold under the Zhiguli name in the domestic Soviet market after June 1970. Lada cars became popular in Russia and Eastern Europe during the last two decades of the Soviet era, particularly in former Soviet bloc countries, where they became a symbol of city life. The original Lada was widely exported in sedan and station-wagon versions, and with over 20 million units sold before production finally ended in mid-2012, it had become the highest-selling automobile to be produced without major design change. The Lada badge depicts a Viking sailing ship. My favorite car in the world is a Lada, keep your BMWs and Mercedes. It is that boxy sort of car you see in scenes in movies in Russia. I bought a new one in 1990 because auto insurance in Ireland is expensive and insurance on a Lada was the cheapest. It was convenient that O’Dowd’s Garage in the village was the local franchise holder for Lada. The Russians may have suffered with lots of shortages back in those days but one thing they had plenty of was steel. That was one solid little car. The passenger part of the car was basically a steel framed box. Which saved me and my kids. One rainy day, a lunatic ran a stop sign at very high speed and hit us with such impact that the front end was almost sheared off and the car spun so he could crumple the back end pretty good too. After the car was towed to O’Dowd’s, quite a few people made their way to my Aunt’s house to offer condolences because they thought no one could have survived such a crash. But that steel box saved us. The kids didn’t have a scratch on them. I suffered minor injuries from the seatbelt and got whiplash but only because as a mother, my natural inclination was to turn to the back, between the seats and reach for the kids. I was heartbroken when I recently heard they stopped production on the Lada last year. A real shame. That was one heck of a car. 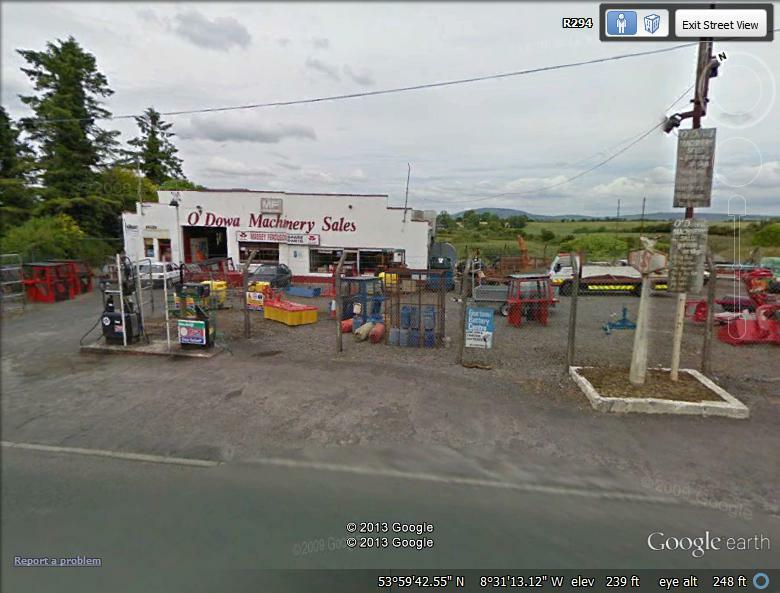 Thanks to Google Earth… O’Dowd’s, where I bought my Lada. No more Ladas on the lot and doesn’t look like one of your fancy American car dealerships, now does it? Wow! It really did save your lives. 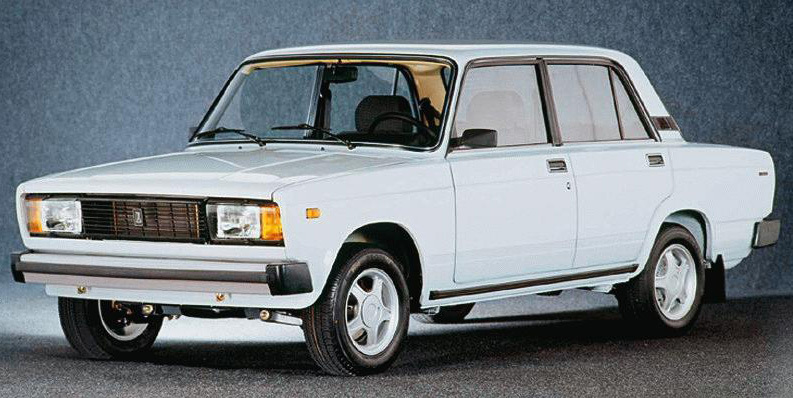 You’ll always have the Lada in your heart regardless if they are no longer in production. Nice Post!